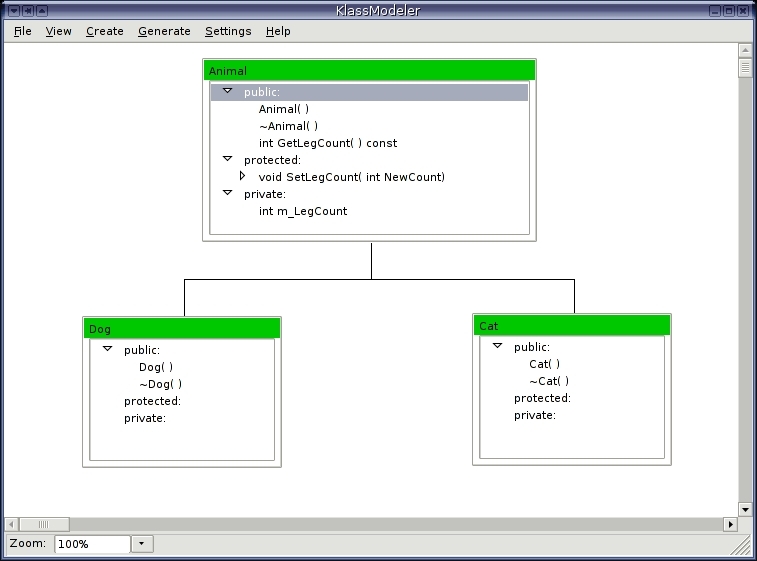 The KlassModeler is a class diagramming tool. It's sort of like UML, but with a strict focus on creating diagrams of classes only. As you build up your class structure you can add everything you will need included in your header files. You can also document every aspect of the model. Once your class is done you can use the KlassModeler to generate your header files. Then you can continue to work with the model and the KlassModeler will update your headers without damaging anything you write outside of the class specification. The KlassModeler has been around since 2002. You can still get the original KlassModeler from my original KlassModeler page. However I would recommend you try out the current version instead. The new version has many usability improvements that make it easier to create and maintain your class models. You can get the current version from Source Forge. To give you an idea of how it all works, please check out the online docs.